We are Offering of Mild Steel Vessels made from high quality raw material and are specifically designed to withstand the high temperatures. The vessels are specially designed to suit the application in pharmaceuticals, chemical, drugs, dies and allied industries. We are a leading organization having rich experience in the domain of manufacturing MS Vessels in varied dimensions as per customer’s requirement. To meet the varied requirements of our prestigious clients, we are engaged in offering a wide gamut MS Vessel. The offered products are widely used in various Pressure, Process industries like food, pharmaceutical, chemical for storing the material. 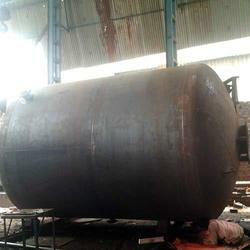 Outfitted with a modern infrastructure, we are the most prominent manufacturer of a wide array of Mild Steel Vessels. 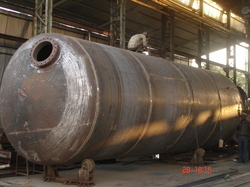 - The Reactor Vessel is a Pressure Vessel containing the coolant and reactor core.